Bookmark Buttons on Phones open the COMMUNICATOR that lists and links info webpages. 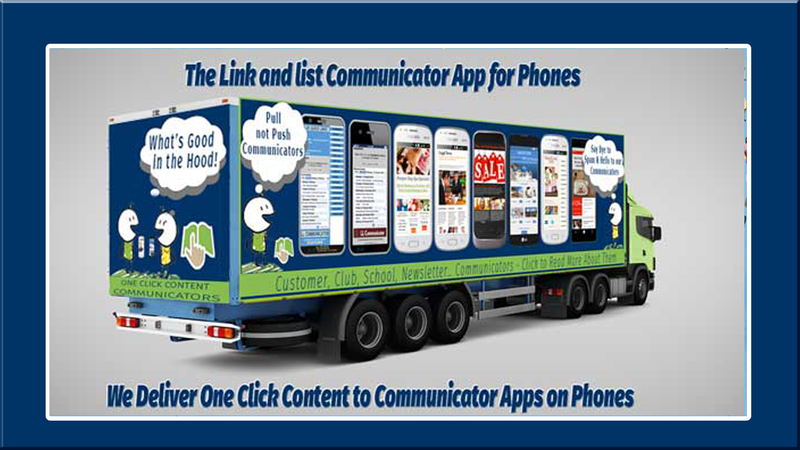 SMS, etc., to Scroll & Click "Pull" Technology COMMUNICATOR Apps on phones and PCs. WE DELIVER CONTENT IN ONE CLICK! The One Click Content Communicator App delivers bulk content. One click on a list can open an unlimited number of specialist webpages e.g. Big Companies: "Who is" Profile pages on 1,000's of staff on theitr phones. Reps: Load 21 pic's & reports from phones and managers add comments and reviews. Professional firms: Reference 1,000's of pages in a private reference library on phones. Schools: Teachers from different schools can share lesson plans. As a work from home business: What's good lists link to niche market directory listing pages. If you need content "on the go" our One Click Content Communicator App places it just one click away? e-mail spam has rendered e-mail impersonal. 100 billion e-mails per day! 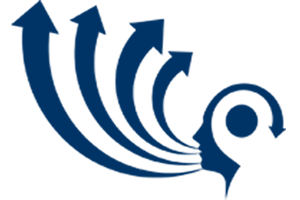 Email remains the predominant form of communication in the business space. e-mails per day during 2020. Interpersonal messaging is the solution to SPAM. 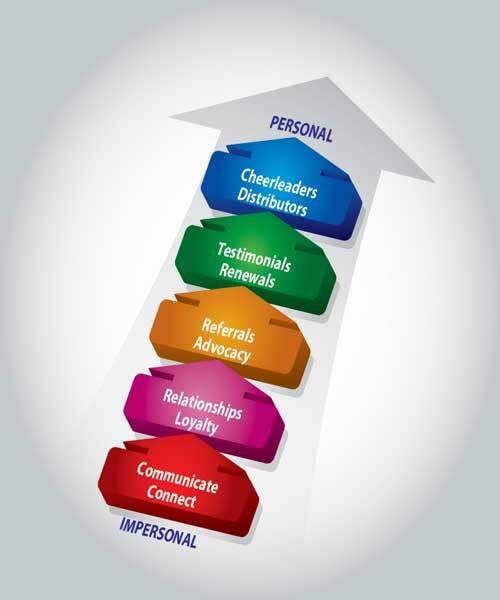 is not a personal communication channel. There is no limit to the number of Link & List Communicator pages that you create. Communicators can be created for many entities including: Communities and Community Policing Forums, Professional Services, Retailers, Corporate Offices, Clubs, Churches, Franchisors, Schools and more. Enterprise CRM is dominated by big business. and start to enhance RELATIONSHIPS. Put your button on the home screen of your clients phone and build a win:win relationship. 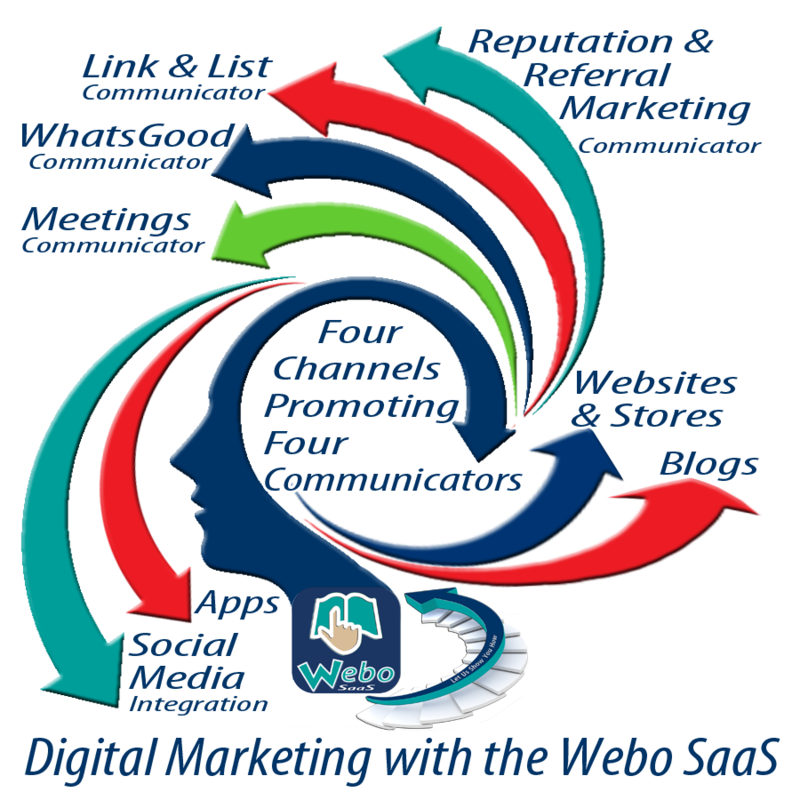 The Webo SaaS Bundle gives you all the communivcators and all the channels to promote them. as it is an Interpersonal Corporate Communicator. takes your CRM to the next level by getting connected with your customers & enhancing your customer relationshipsin a simple and affordable way that works! that are listed on the directory. a board meeting pack & more.